Bite-size insurance: Is it really worth it? Mumbai: Buying products in small affordable sizes is not a new concept. For instance, shampoos were successfully sold, especially in rural India, in sachets through which the shampoo industry tapped into the lower-end market, which could buy it at a low cost for one-time use. Taking this concept ahead, the insurance industry has introduced sachet or bite-sized insurance products in the market. Still at a nascent stage,sachet insurance products are gaining interest from investors and consumers. Here we looks at bite size insurance products and tells you whether you should buy it. Small-ticket insurance cover, also known as sachet or bite-size insurance, is a non-comprehensive plan, focusing on a specific need and comes with a low premium and lower cover. It is different from micro insurance, which has been around for a while and typically caters to the bottom of the pyramid. An example of bite-size insurance is the insurance you get with your train ticket on IRCTC website, which is supported by a public insurance company. Insurance companies and online insurance technology companies are building sachet insurance for both life insurance and general insurance. However, currently it focuses on general insurance categories such as health, travel, home appliances and lifestyle needs. Companies such as Toffee Insurance, Digit Insurance and Mobikwik provide bite-size insurance online. Insurance companies such as ICICI Lombard also offer bite-size insurance, which you will notice when you book airline tickets online. “The sum insured gets defined by the premium. A premium of up to ₹1,000 per year can be called as sachet insurance and the sum insured will depend on the category where it can go up to Rs4-5 lakh,” said Rohan Kumar, chief executive officer, Toffee Insurance. For instance, Digit Insurance offers a holiday home cover for ₹200 excluding tax for ₹2 lakh cover. These insurance products require less documentation for underwriting unlike conventional policies. Targeted towards millennials who don’t have insurance or are first-time buyers, these policies can be a starting point. “There is a large segment that doesn’t have any insurance and may perceive threat to certain risks as opposed to complete coverage. 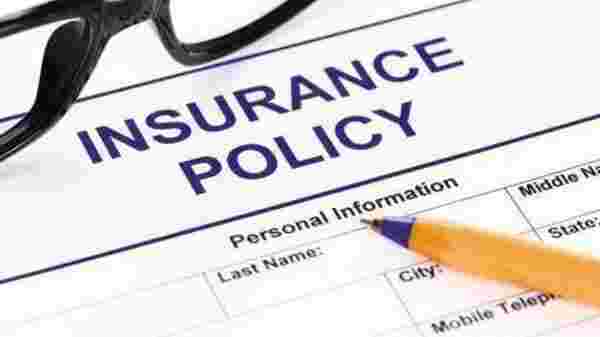 Bite-size covers can help individuals get introduced to a product and take certain benefits before she decides to opt for a full fledged cover,” says Rahul Aggarwal, chief executive officer, Optima Insurance Broker. But the low cover may not be adequate. Let’s consider a fitness insurance plan at ₹430, which offers an accidental death and disablement lump sum up to ₹1 lakh. Although targeted for a section that does not have insurance, it does not really benefit the family in case of death because the accidental death coverage of Rs1 lakh is extremely low. “They are definitely not for everyone as consumers with pre-existing conditions and higher risks will have a different requirement,” said Kumar. Another problem is the insufficient data to establish the claim settlement ratio considering most products have been introduced only recently. And bite-size insurance that have existed for a while have low claim settlement ratio. “For instance, in domestic travel insurance, the claims ratio is 8% of the premium and for overseas travel insurance it is 25-30%. The incurred claim ratio should exceed 50% for any product. It is low because people either don’t claim or most claims are not properly paid because of specific conditions that are difficult to interpret,” says Kapil Mehta, co-founder, Securenow.com. According to financial planners, it is advisable to have a term plan if you have dependents and a basic health plan in place. If you intend to buy bite-size covers then understand the inclusions and exclusions to avoid last-minute surprises.